Montserrat is using Smore newsletters to spread the word online. Biomedical Engineers design solutions to problems in Biology and medicine. The Biomedical Engineer get an average of $86,960 yearly, which is $41.89 per hour. In order to become a Biomedical Engineer you must take science courses in High school then get a Bachelors degree(4 years of College). In College make sure your major is Medical related, you can also become a Biomedical Engineer, if you are a Engineer in a diffrent field. The enviroment as a Biomedical Engineer is working with a group of scientists and healthcare workers in a lab to find a solution to a problem. What are some job duties for a Biomedical Engineer? A Biomedical Engineer designs systems or devices that replace body parts. 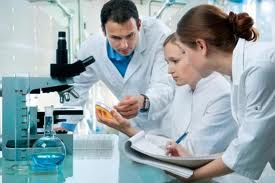 They also work with medical scientists, chemists and other scientist. Evaluating the safety of the biomedical materials they use is a big duty. The job outlook as a Biomedical Engineer is supposed to increased 27% from 2014 to 2020.